At the end of the year my Pastor, Steven Furtick challenges every person and family to pick a word for the following year. Ive been picking my word every year since 2015 and sometimes I have to pick two words. For 2018 I picked, “Faith” I knew that if i had more faith then I would have less stress. More faith means less room to become so easily frazzled when things don’t go my way or when the plans seem to fall through. I must admit that although this year has just started I have been stretched, pulled and challenged in my faith. I find myself saying, “God I trust you.” But my mind will immediately start planning a back up plan for the two back up plans I already had. With winter storm Grayson I was reminded that you can NOT have faith and stress at the same time. While i was sitting in the airport I began thinking of who I could call to just vent about my commuting struggle. As I was scrolling through my contact list I started talking to God, I was so frustrated with myself for not having faith in the small things and areas in my life. God knew I would be pushed to the limit with all the flight delays and cancellations, God knew I had to be at work super early and not once did he leave me hanging. I know in order for my faith to grow I have to go through some tough situations and I have to stay diligent when my mind and emotions go left. I have to constantly remind myself that FAITH the size of a mustard seed can move mountains. It doesn’t matter how bad it looks from the outside I know Jesus will meet me in the middle of the mess and he will carry me to the other side. He was with the three Hebrew boys before they ever stepped foot in the fiery furnace. He was with the woman at the well when she went to the well not knowing she was going to meet Jesus there, he was with Jonah when he was in the belly of the whale. He is with you even in your dysfunction, failures, triumphs and disappointments. He is the God of miracles and a rewarder of those who seek him daily. 2018, will be my year of FAITH and I know that through every test, tight space, negative feeling and failure he will guide me through. Stand boldly in your truth! 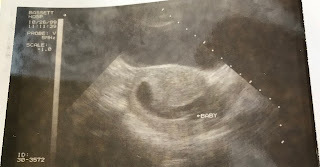 My father sent me a photo of my ultrasound the other day “dated 1989” and as you can see in this photo I was there but there was a lot of development that needed to take place. I made my grand entrance in February and the rest is history. I am one of the lucky babies who not only survived but I kept defying the odds. I was reminded that in life we plan every detail of our lives but what about those unexpected things that happen in life? I’m sure almost twenty eight years ago my parents were not planning on welcoming me into the world so prematurely but they adjusted and they were focused. I must admit I like to plan and even if I allow someone else to plan something for me I make sure they have a clear picture of what I want, I still want control without the responsibility. When it comes to my dreams and my aspirations I don’t give myself a date to complete it because let’s be honest, life happens and dreams can be deferred. The plan I have for my life took a back seat once I accepted Christ. I still have hopes and dreams but I trust in the plan he has for my life. I can’t see every single twist and turn but I trust in his timing. February 25, 1990 God showed not only my parents but every doctor and nurse that was over my case that he was in complete control. His timing is perfect, his timing is sure; I can always depend on him. I learned very early in life that in every season there will be good and bad days it’s just up to us to trust in the plan he has set before us. 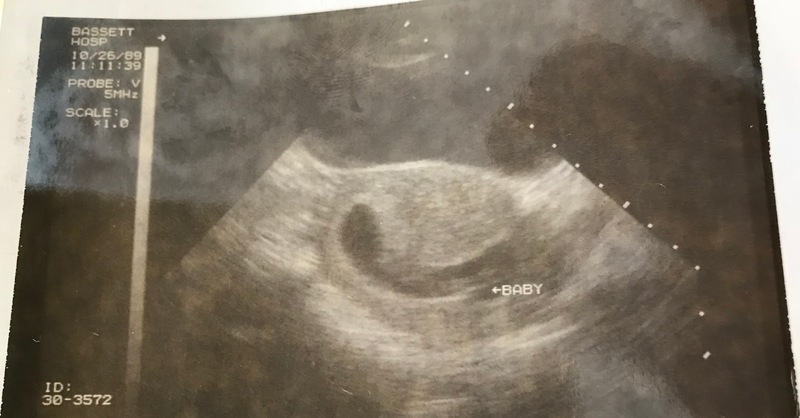 When I first saw ultrasound I said, “Well that doesn’t look like much but that’s a gift.” Whatever you have in front of you may not look like much but it’s a gift, it’s a blessing, it’s apart of the plan. It wasn’t up to me to figure out why I was born early I am here, I am healthy and I am gifted. Every gift, dream, aspiration and plan you have for your life will come to pass in his time. You may have to make a move quicker than expected but if you just hold on, it will be worth it. Never doubt the plan that God has for your life, seek him in the early stages of the plan and allow him to guide you. He will never leave you or lead you into a place that you weren’t graced for. I was graced for an early delivery. My mother was graced with the ability to deliver me, my father was graced with the task of praying for me and every doctor and nurse was graced with the knowledge and skill to care for me. I went from a premature baby with a low chance of survival to a thriving young woman who is unashamed of her shortcomings, failures, victories and defeats. It’s in the premature, unexpected moments in life that we learn to depend on God like never before. Never doubt those rushed moments, those moments where you felt like you didn’t have enough time. The season you were and are in was predestined before you were ever born, stay the course and remember with God its never too early.